Care for your skin in the summer! 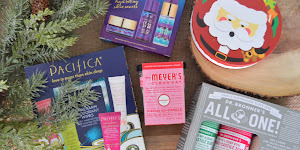 Skincare during the summer months always seems to be a lot more about necessity than luxury, at least in my opinion and experience. Whether you're trying to repel dangerous uv rays or pesky mosquitos, you always have to use some kind of product to protect your skin. 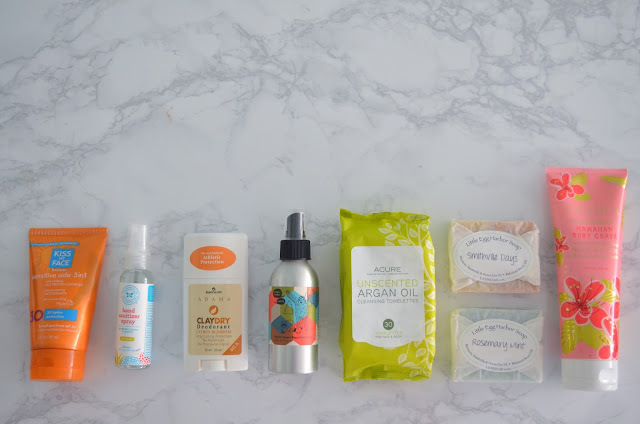 Below I listed some of my favorite and most used products in the summer! My skin is really sensitive, especially when it comes to the sun. If I stay outside longer than 20 minutes in full sunlight without wearing any sunscreen, I know I'm doomed with the inevitable mid-July sunburn. But when I do wear sunscreen, I can stay outside for hours, which is why I love the Kiss My Face Sunscreens. 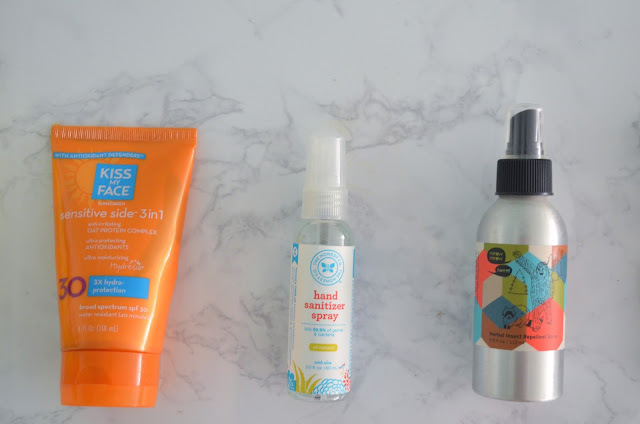 I use the sensitive side sunscreen on my face and a spray sunscreen by the same brand on the rest of my body. I have yet to have a bad experience (e.g sunburn, zit on my face, clogged pores, etc.) after using this sunscreen. An obvious necessity in everyday life, not just the summer months, is hand sanitizer. I included this with the rest of my summer skincare products because I always seem to use hand sanitizer more in the summer. Whether my hands are sticky from (vegan) ice cream or touching an unidentifiable substance on the boardwalk, hand sanitizer is a major necessity. Hand sanitizer in spray form is a luxurious necessity. I know the Honest Company sells this brilliant form of hand sanitizer to be easier to apply to little kid's hands, but I absolutely love it for my 21 year old hands. Mosquitos love to drink my blood and my body loves to react like it just might be allergic to mosquitos which is why I have to take extra care and try remember to use a bug repellant whenever I go outside at night. Emphasis on try. I very rarely remember to use a repellant or citronella candles and always end up with giant welts on my legs and arms. When I do remember to use bug spray though, the Meow Meow Tweet Insect Repellent is incredible. 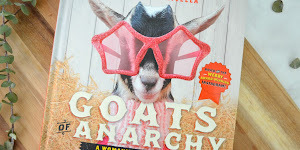 And I can't forget to mention the super cute packaging! A pine tree, Bigfoot, AND a raccoon illustration?? Count me in. 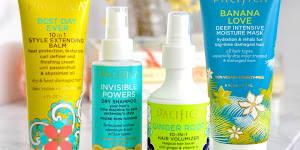 Summer means incredible scented body lotions (that's a known fact) and Pacifica just so happens to kindly supply the world with incredible smelling body butters. 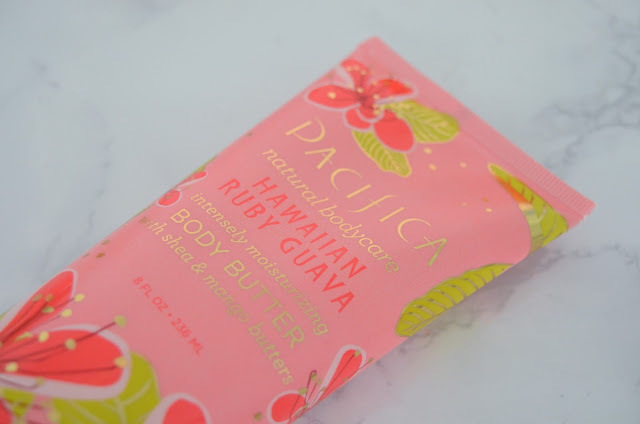 Pacifica's Hawaiian Ruby Guava is one of my favorite fruity scents, of all time (which says a lot). Along with the incredible scent, the body butter contains incredible ingredients. Just a nice little added bonus. My relationship with deodorant is a rocky one. Sometimes I'm comfortable and confidant in our relationship, then the next day I fell betrayed and wonder why I even trusted the so called deodorant in the first place. I just expect my deodorant to work properly, okay?!? 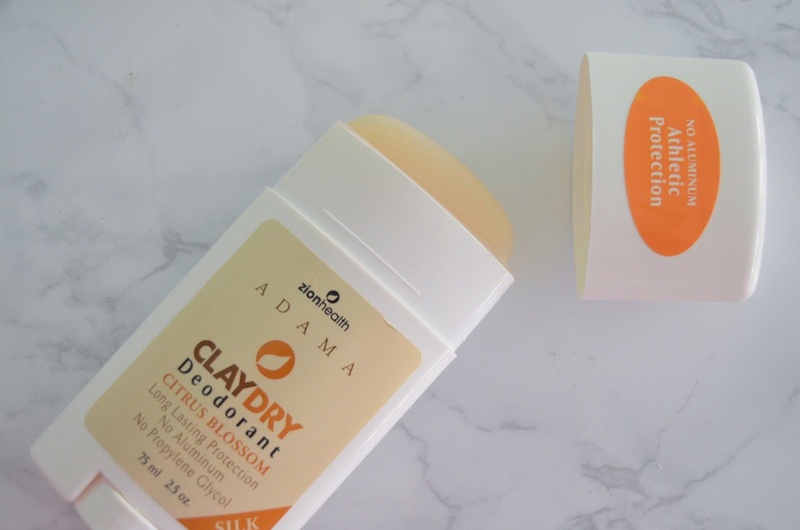 Ever since I started using this Clay Dry deodorant from Adama, I've been happy in our healthy relationship. This deodorant is there for me when I need it, and I'm always happy to use it. All relationship jokes aside, (which is weird considering I never use metaphors and I decided to use one today comparing my deodorant history with a relationship?!? 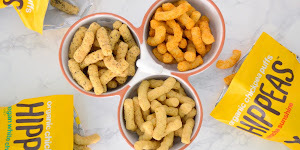 I don't know either) I absolutely love the citrus blossom scent and application is extremely smooth. Two thumbs up with two dry armpits. Acure is probably my favorite skincare brand at the moment. 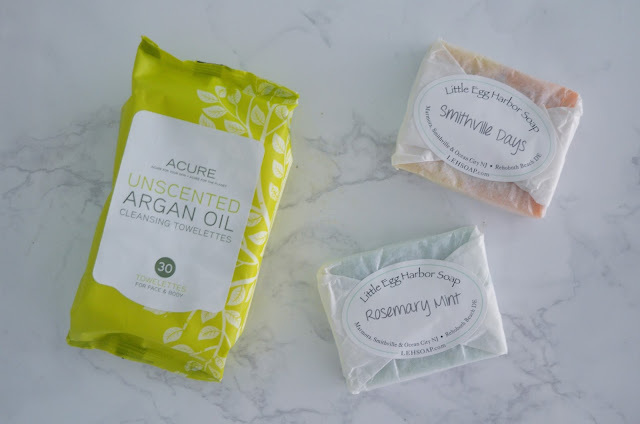 My skin always seems to be a bit finicky with other brands (even if they are an all natural brand) but whenever I use a product from Acure, I know even before using it that my skin won't react strangely. 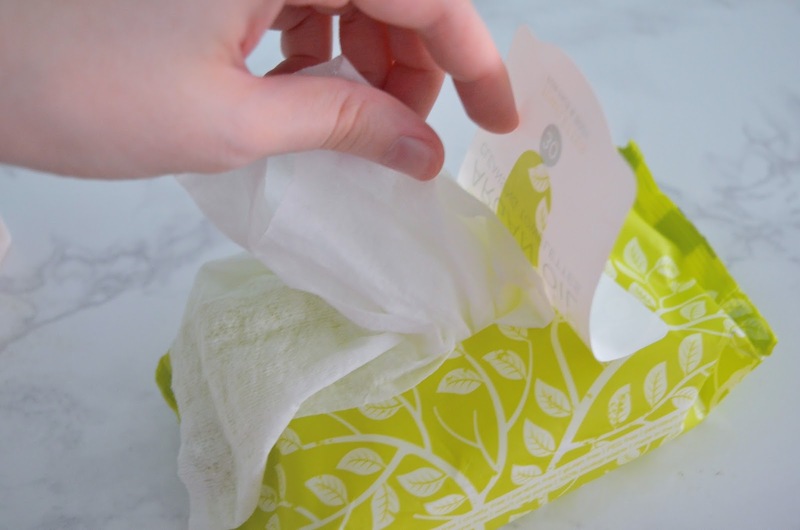 And the Unscented Argan Oil Cleansing Towelettes are no exception. I've been using these towelettes constantly. After the gym, in the morning, after being outside (and getting a little sweaty), and especially when I don't feel like washing my face properly. The Little Egg Harbor Soap Company is a small skincare brand located in southern New Jersey (with one store in Delaware). 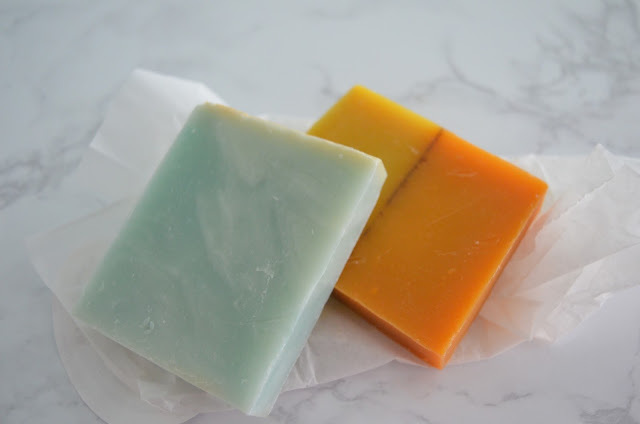 I've used their soaps for about a year now and I am never disappointed with the scent/quality, especially the Rosemary Mint scent, which was kindly gifted to me by my mom's friend. 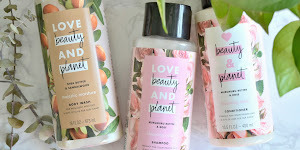 This brand also has body butters which I haven't tried yet, but I'm sure they're just as fantastic as their soaps. I'm still pretty rubbish with putting a separate suncream on, even in summer! I always use a moisturiser than contains SPF 15 on tho, just to have a small amount of protection!